I originally brought Ross to Dr. Stern because he had a weak immune system and was getting sick often & missing a lot of school and other activities. Since coming to see Dr. Stern on a regular basis over the last few years, Ross’ bouts with strep throat and ear infections have been greatly reduced. Also, he participates in sports (hockey, track and field) which can take a toll on one’s body. 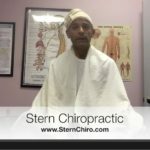 By coming to see Dr. Stern regularly, it has helped to keep him In better shape and not as many ‘aches and pains’. 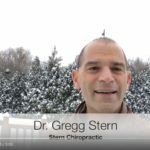 Dr. Stern is a caring individual and chiropractor and takes an interest in his patients’ health and welfare; we would recommend him to anyone, especially children, seeking chiropractic care.